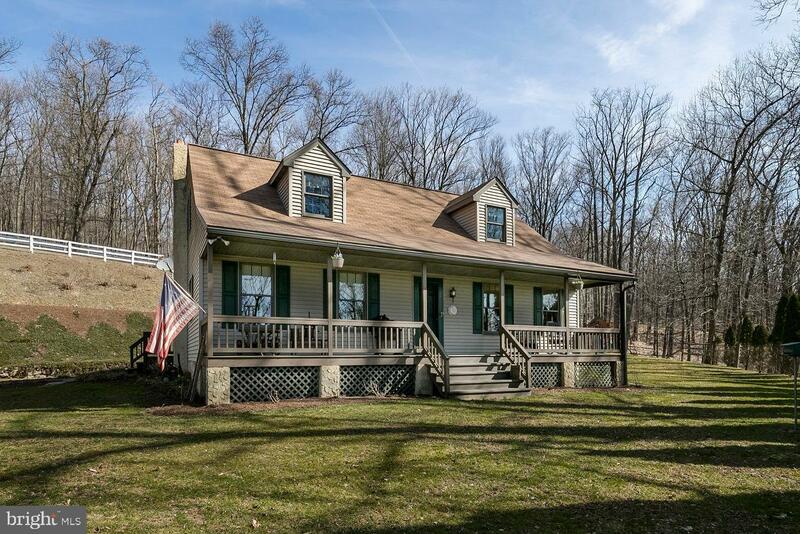 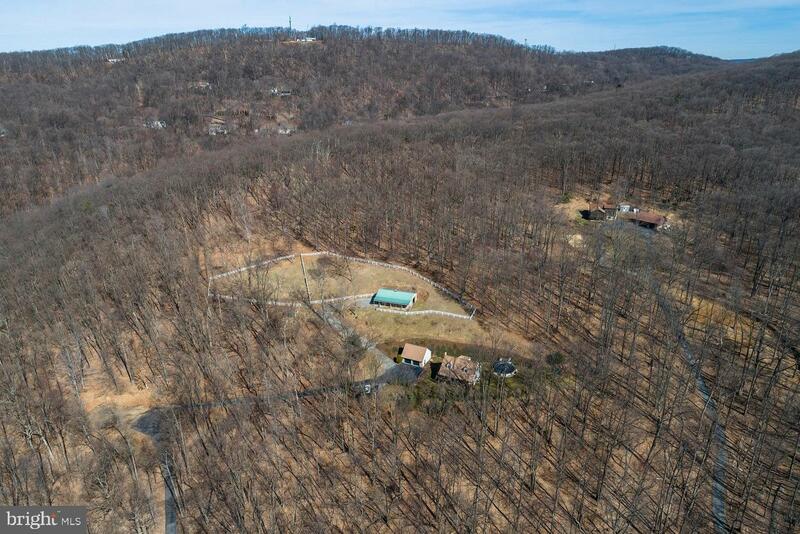 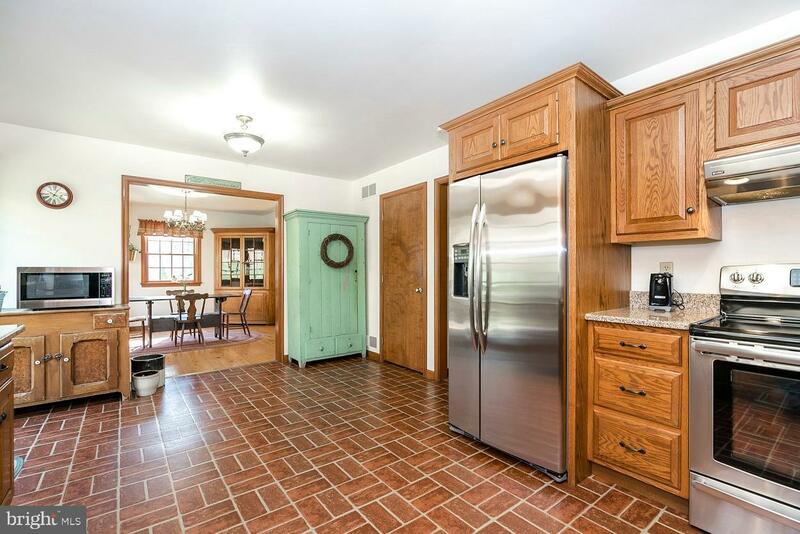 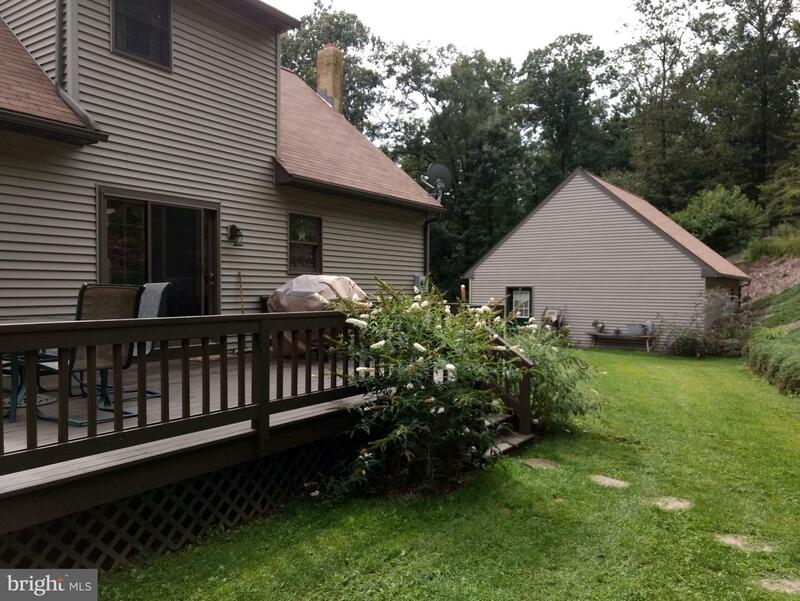 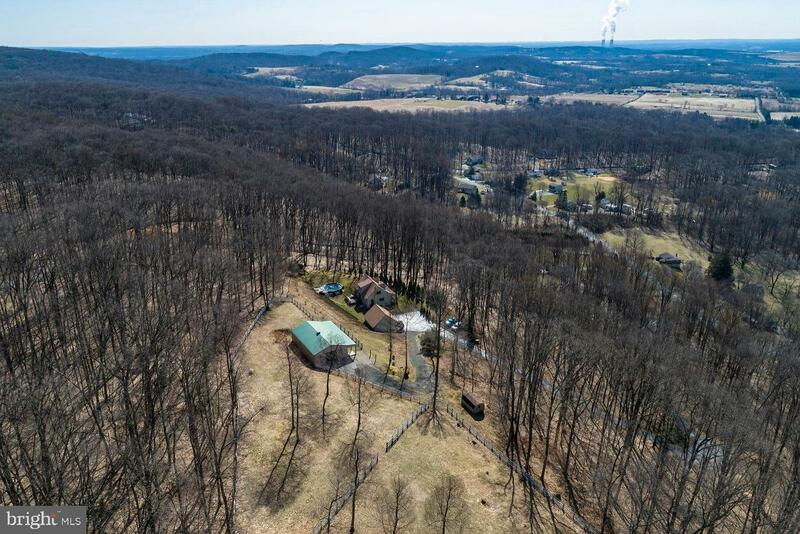 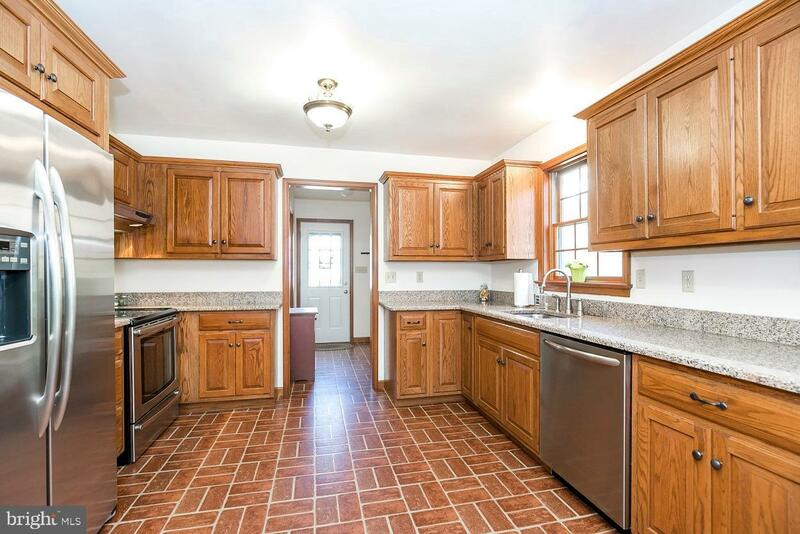 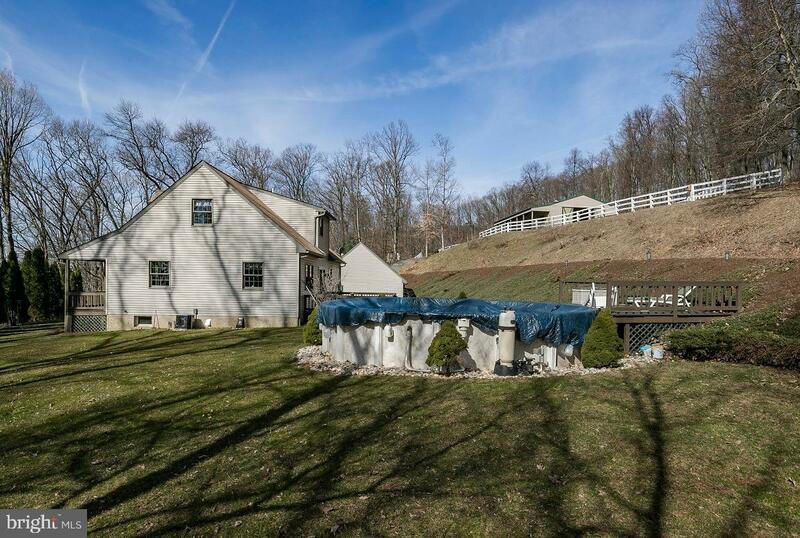 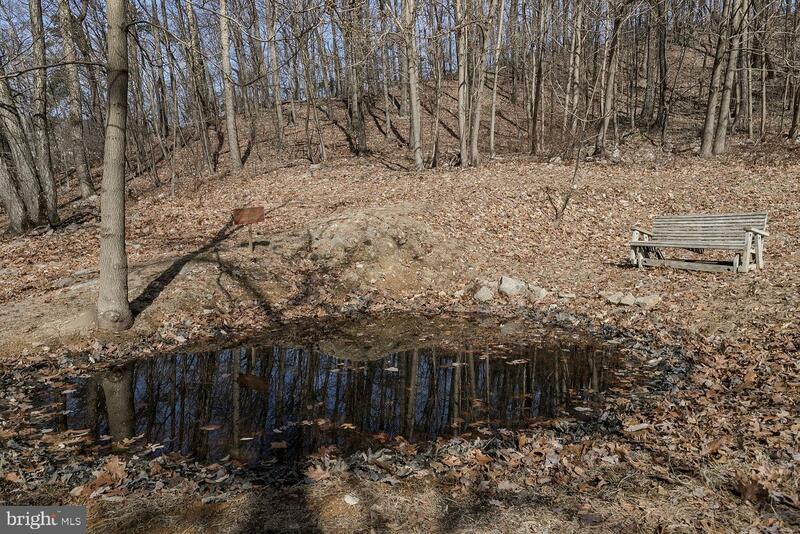 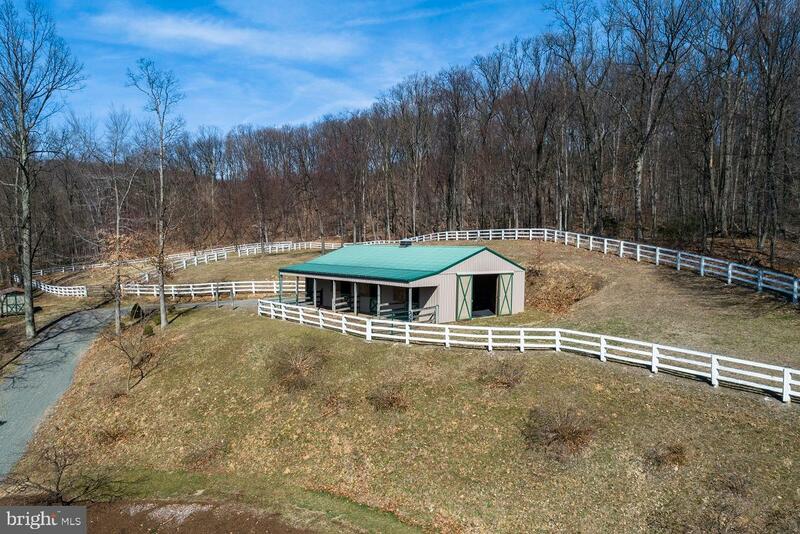 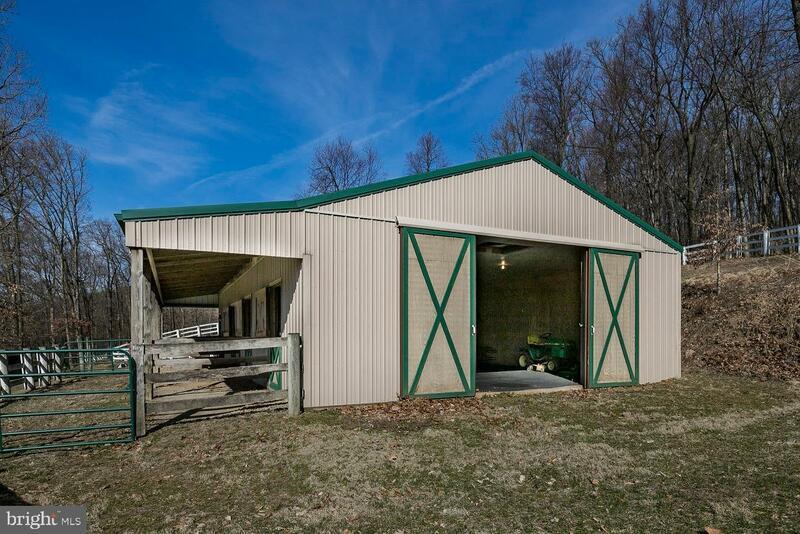 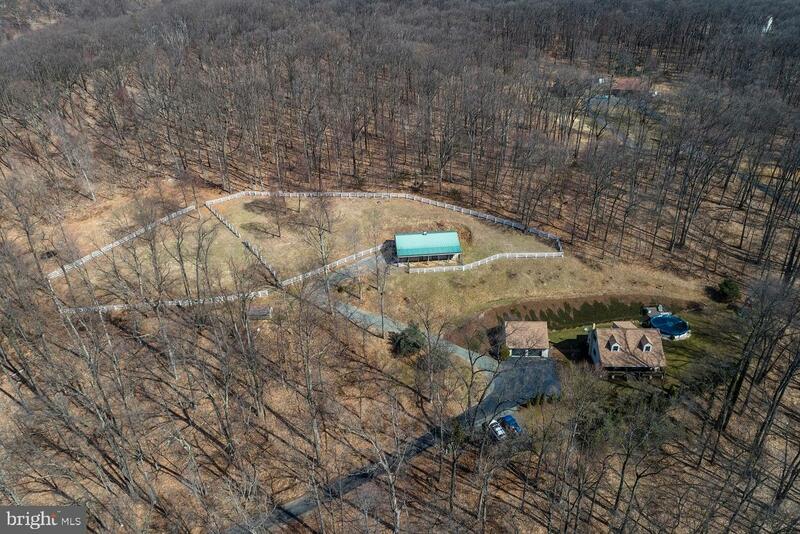 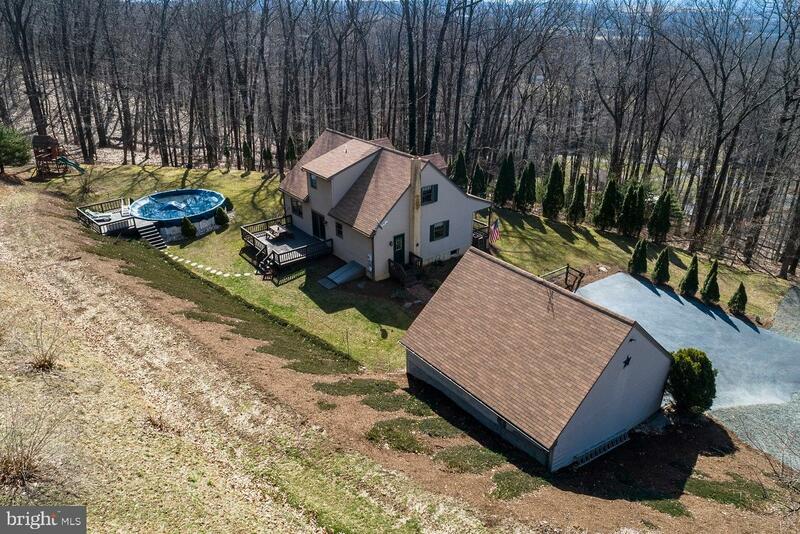 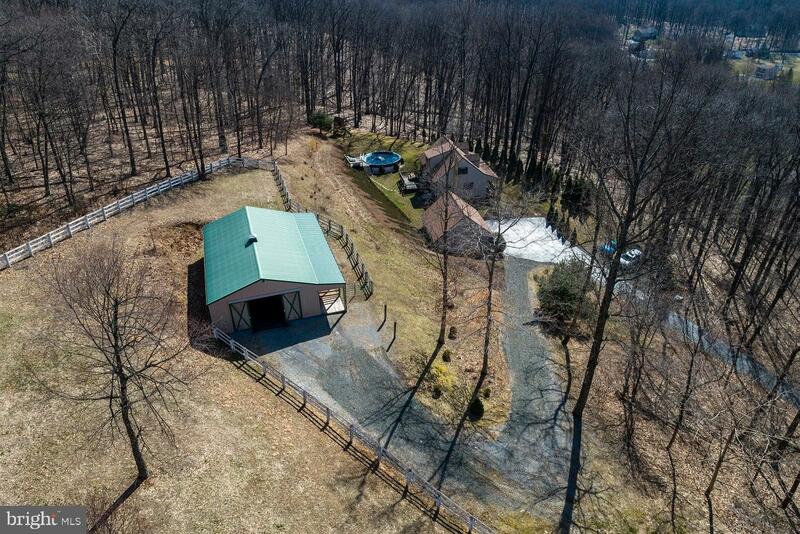 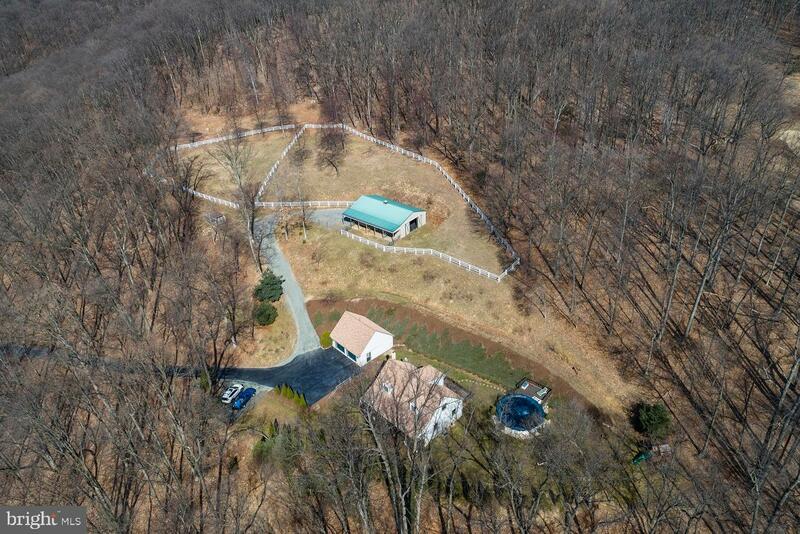 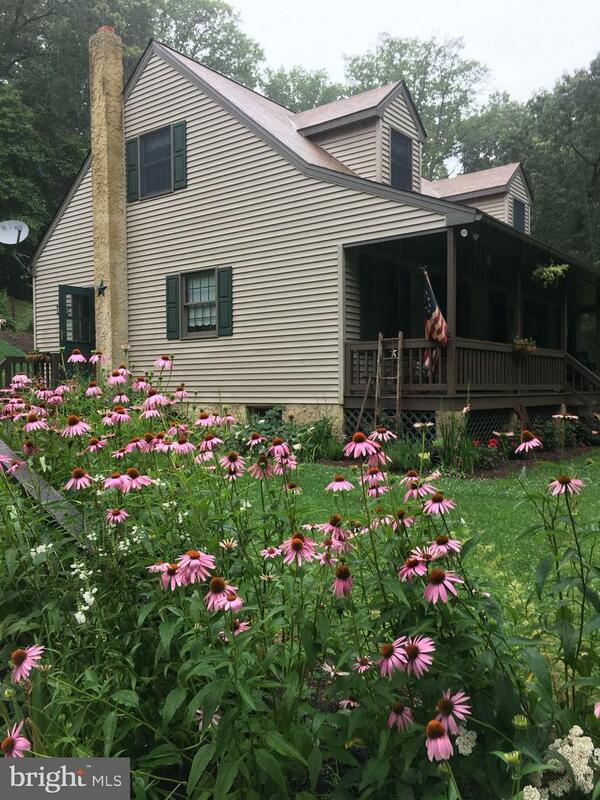 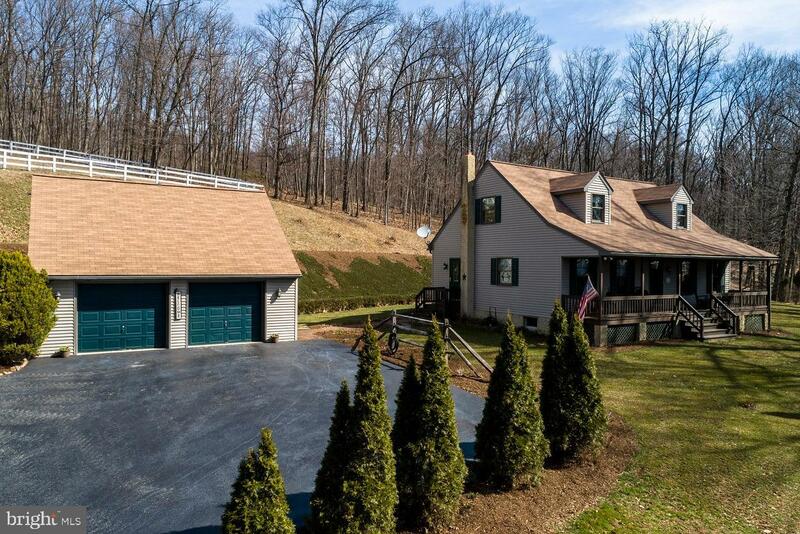 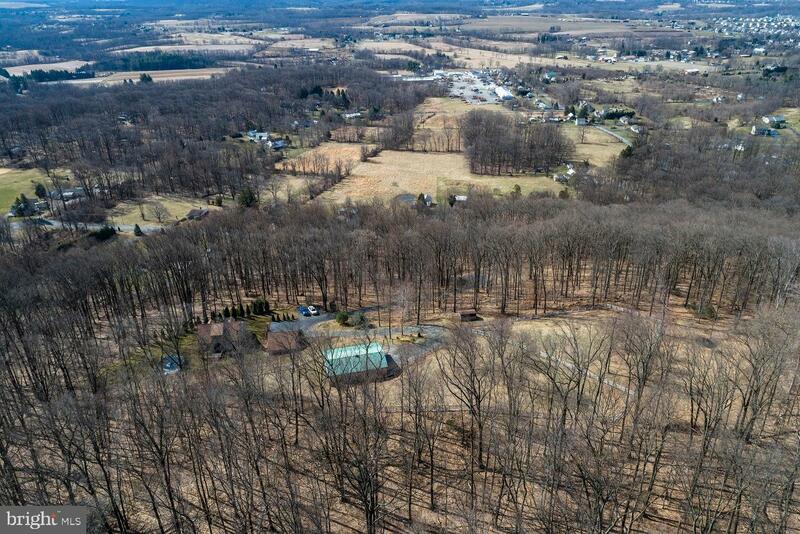 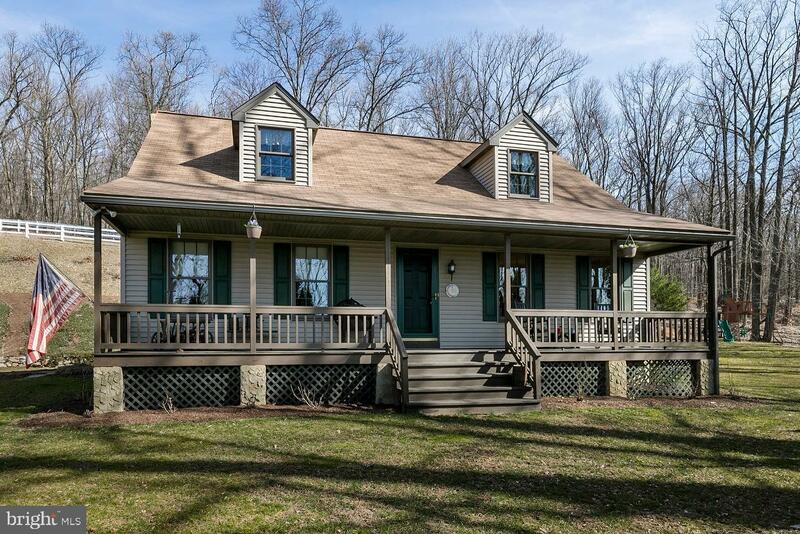 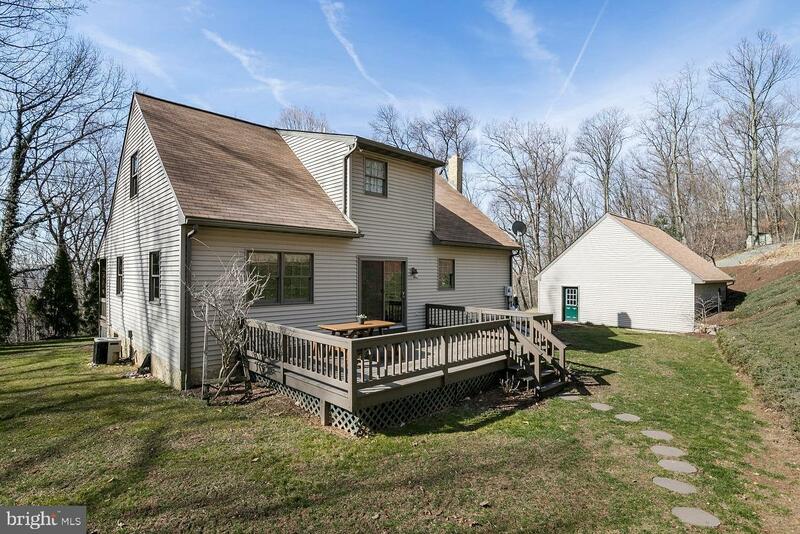 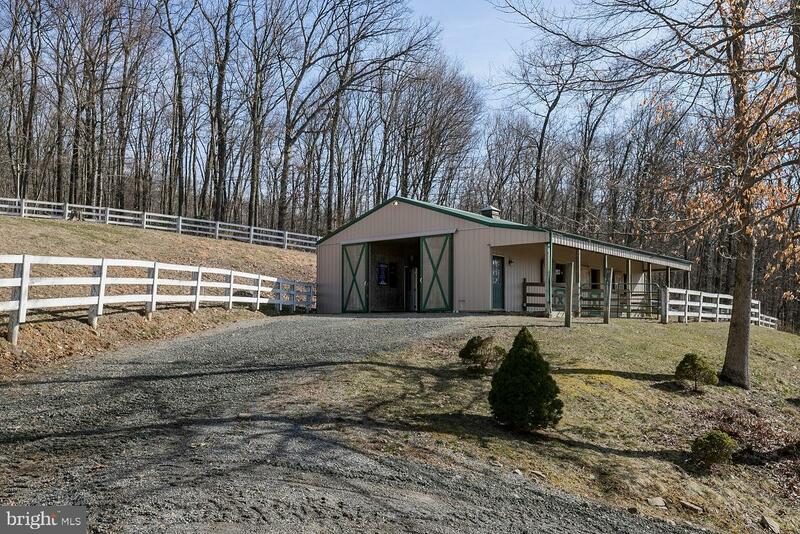 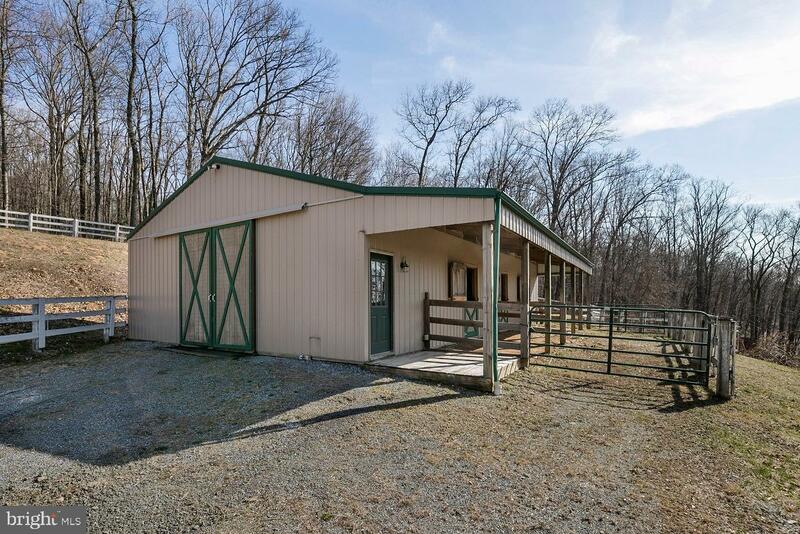 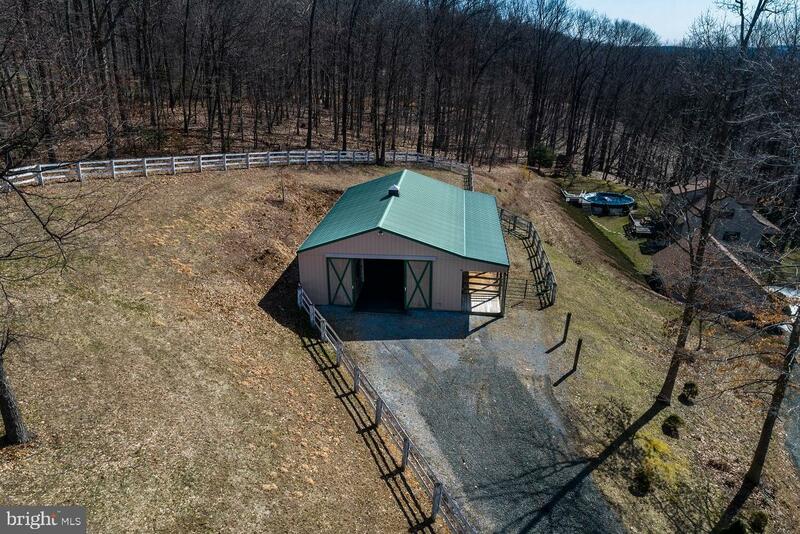 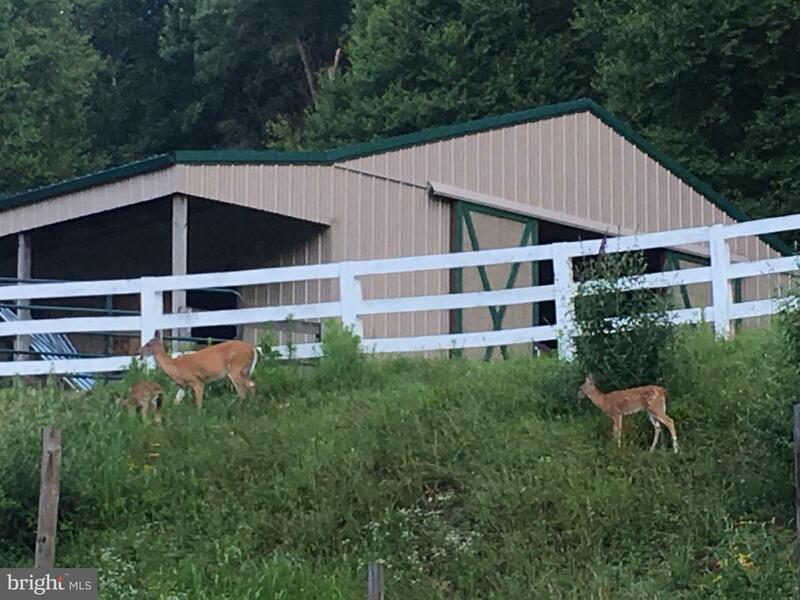 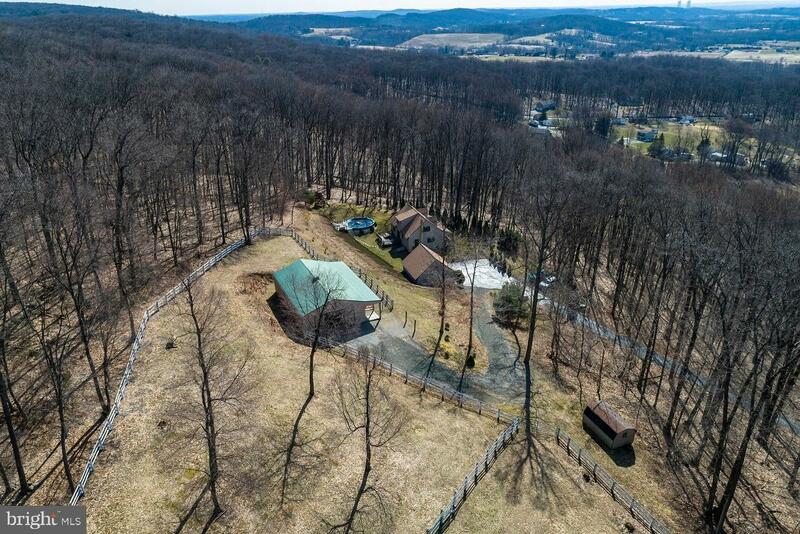 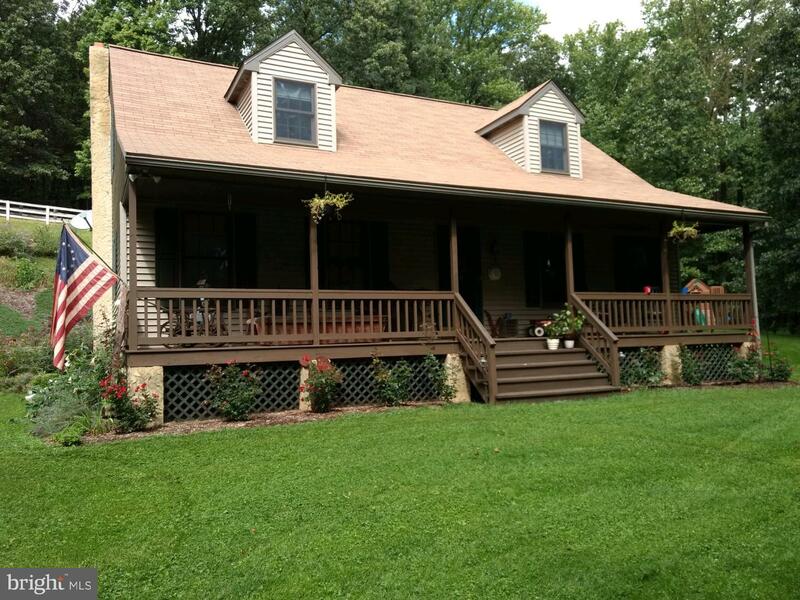 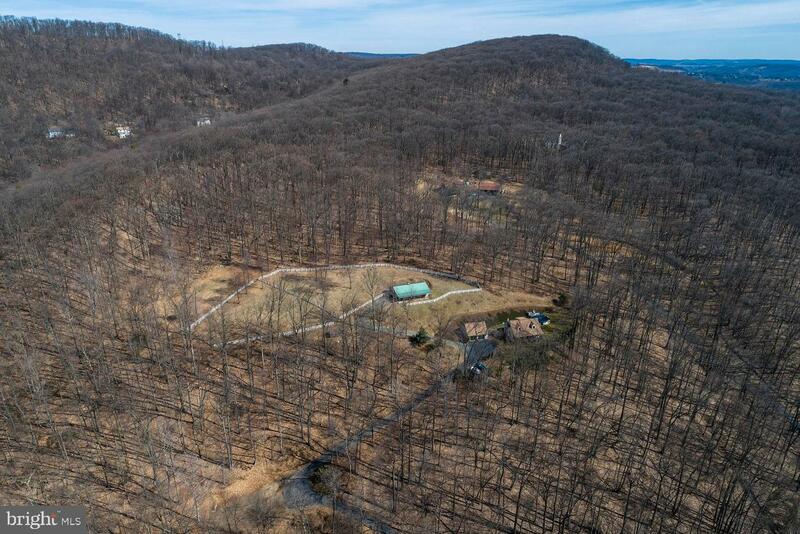 SECLUDED EQUESTRIAN RETREAT ON 11.27 ACRES IN PA ACT 319-CLEAN AND GREEN! 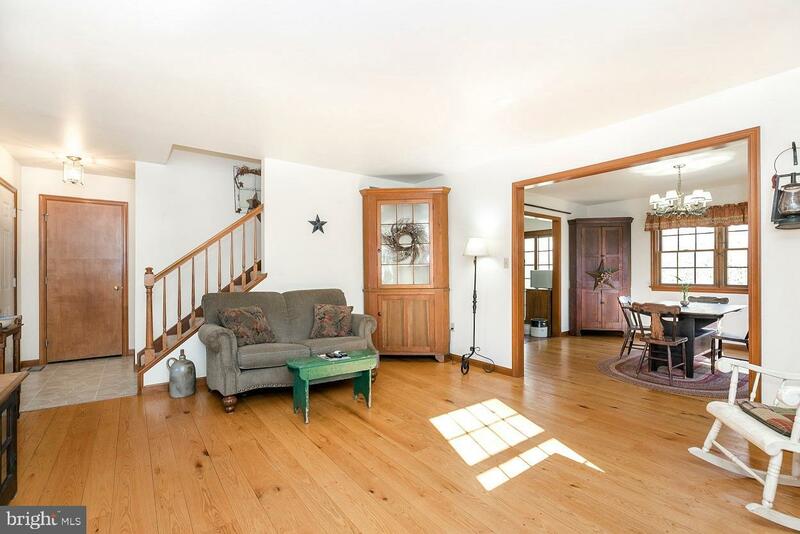 Warm and inviting home memories are made of! 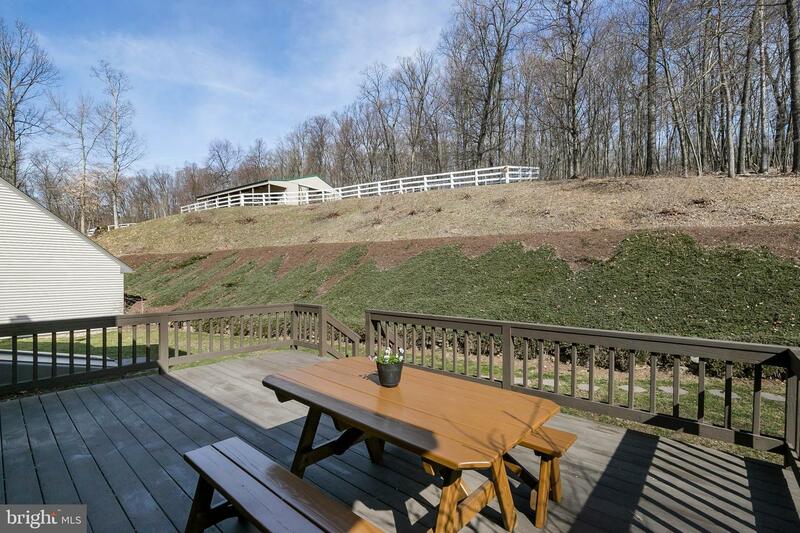 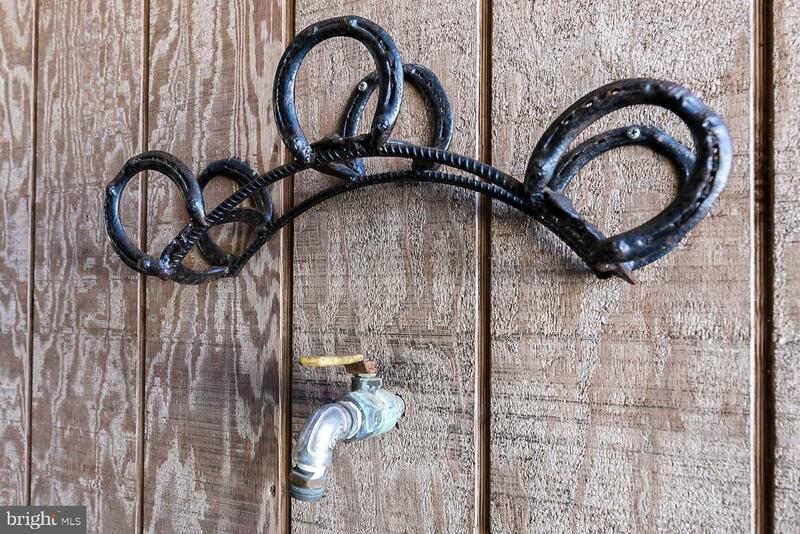 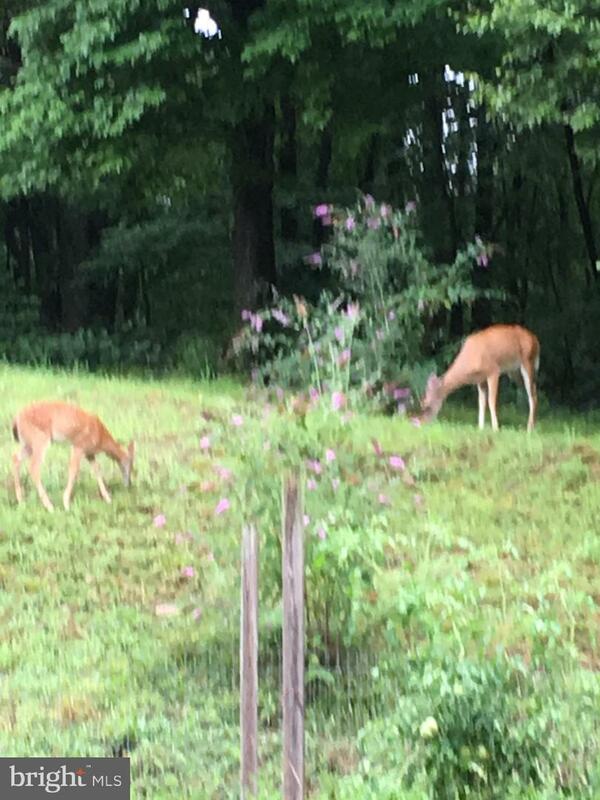 This enchanting setting has so much to offer for horse enthusiast, wildlife lovers, 4 wheelers, gardeners and more. 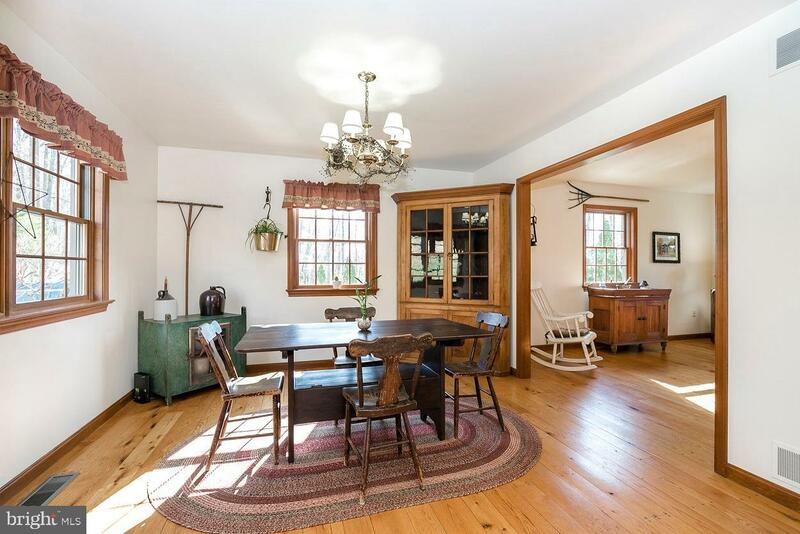 Lovingly maintained Cape Cod is crafted to please. 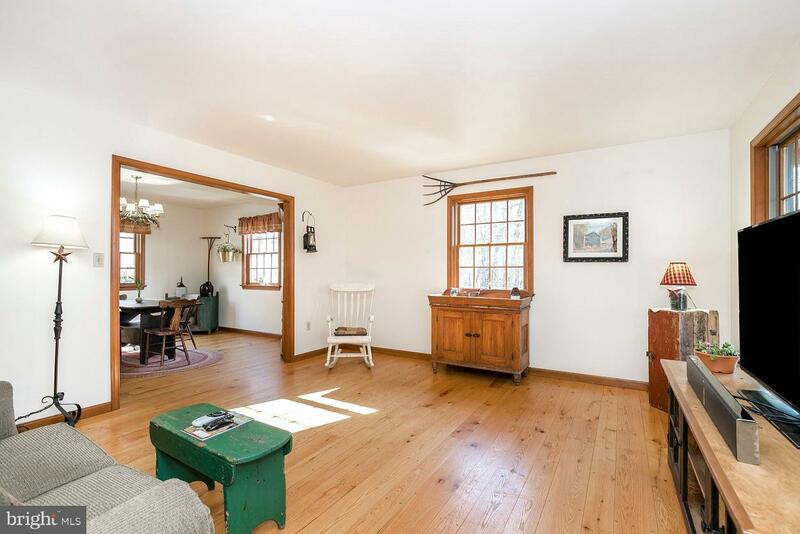 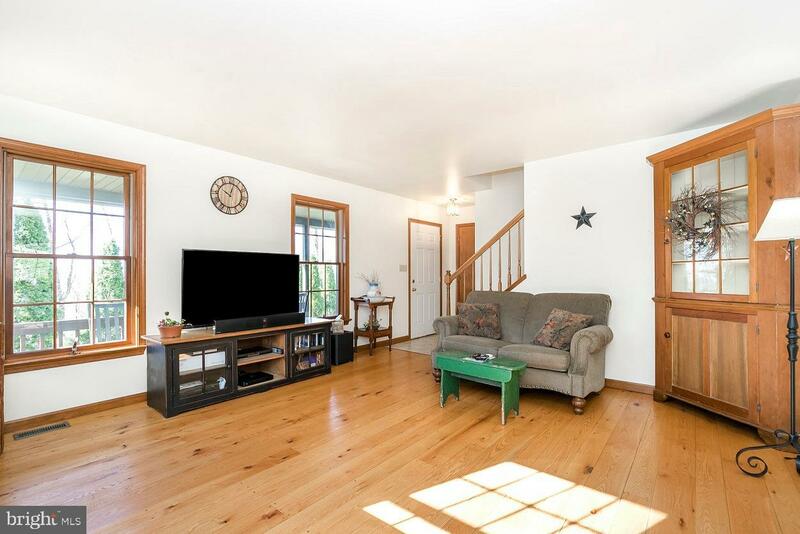 Walk into the Living room and you will fall in love with the custom red oak floors, that were milled from trees on the property, quite the conversation starter! 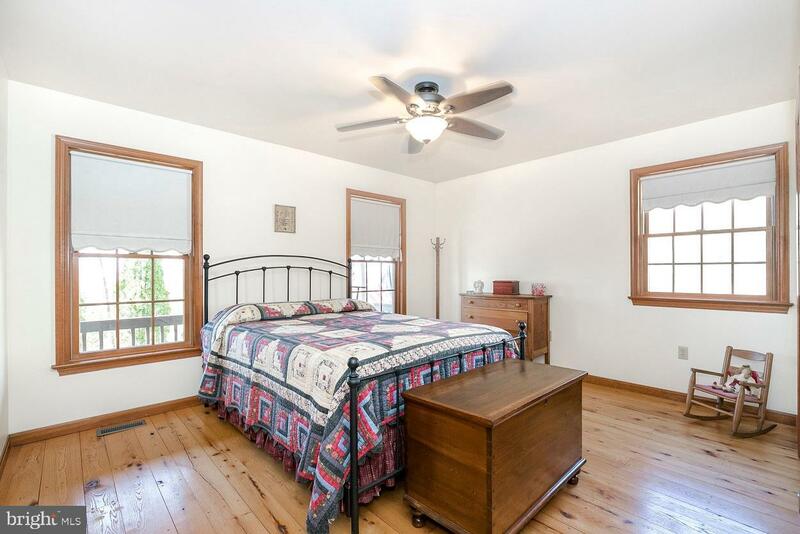 Stained trim and windows to make a warm room to relax in. 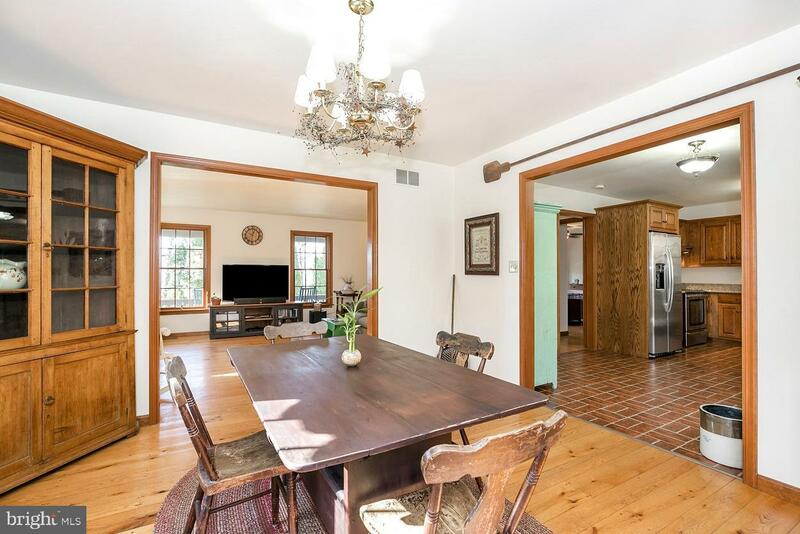 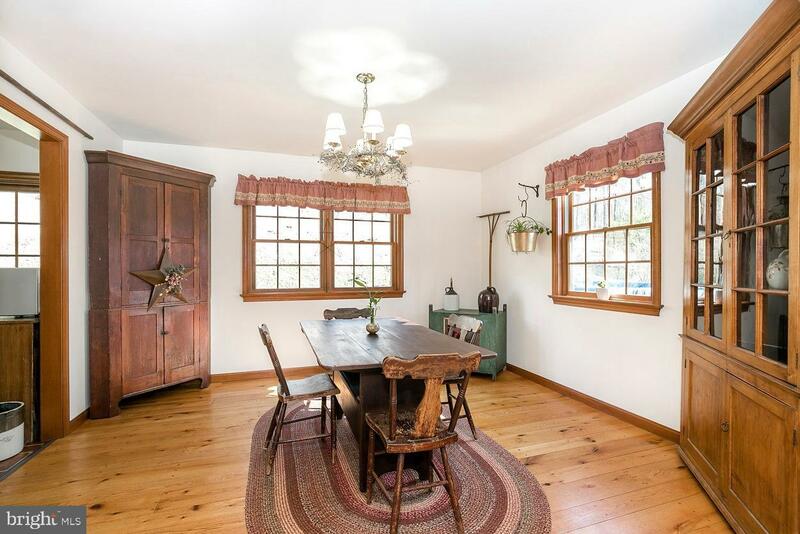 Picturesque dining room also has the custom oak floors, pretty chandelier and wood trim. 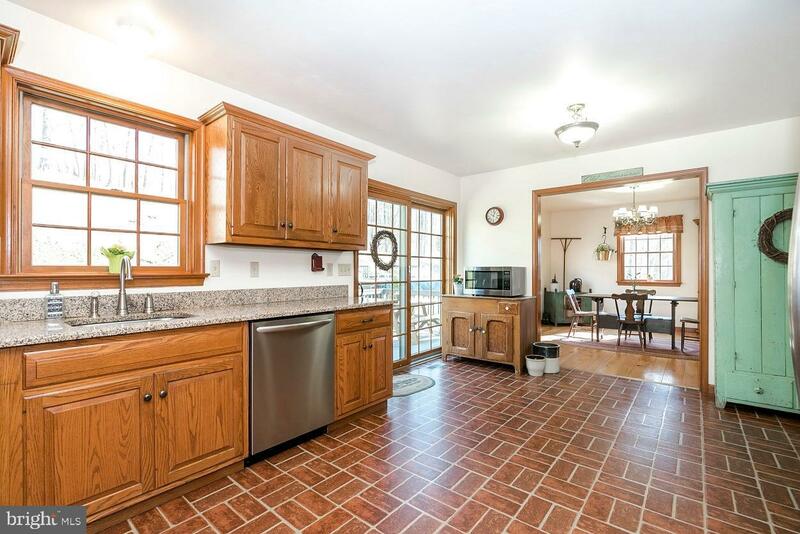 Kitchen has oak cabinets, granite counter tops with under mount stainless sink, stainless appliances including dishwasher and oven. 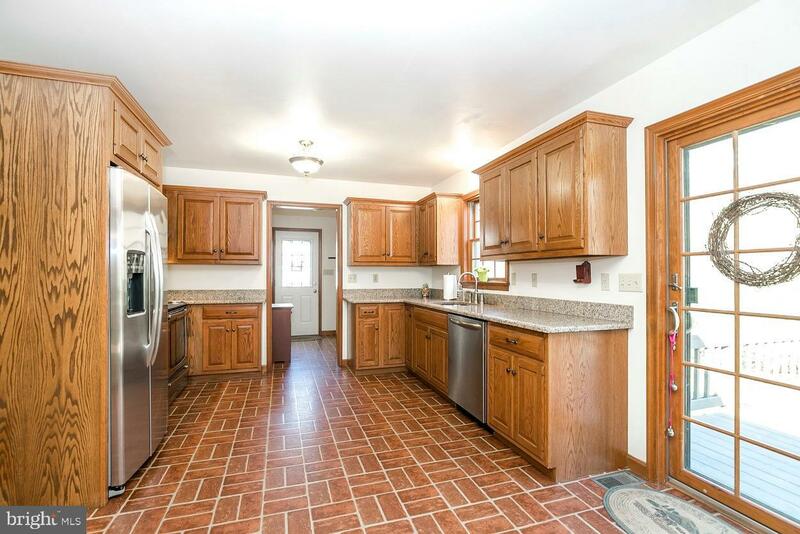 Large eat in area to have casual meals. 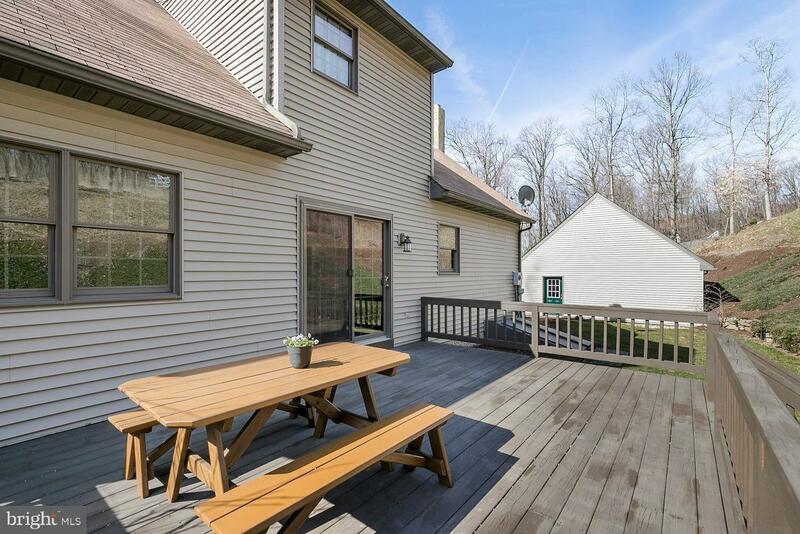 Sliding door leads to a 15 x 22 deck that makes a great place to barbeque. 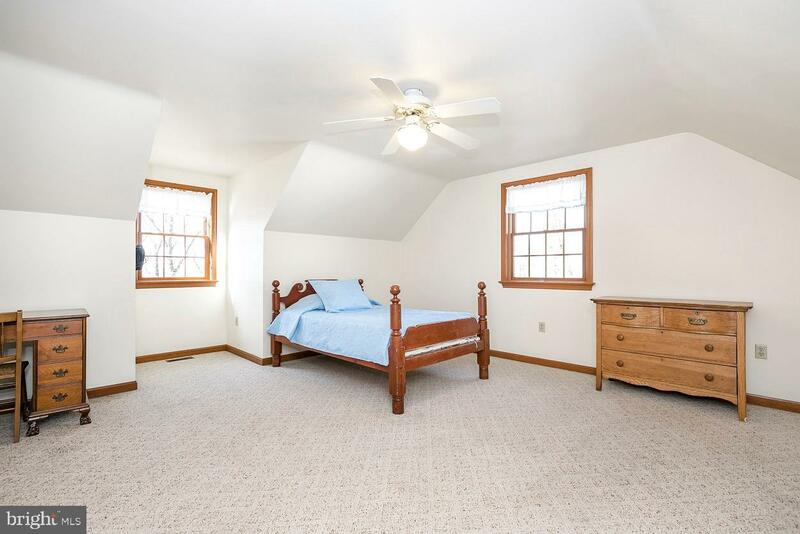 Mud room with large closet/ pantry. 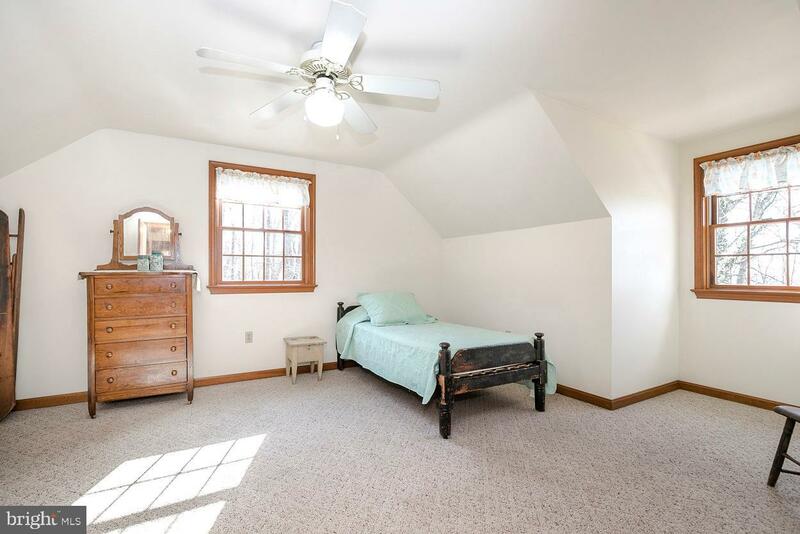 Enjoy the convenience of the 1st-floor master with oak floors, double closet, and ceiling fan. 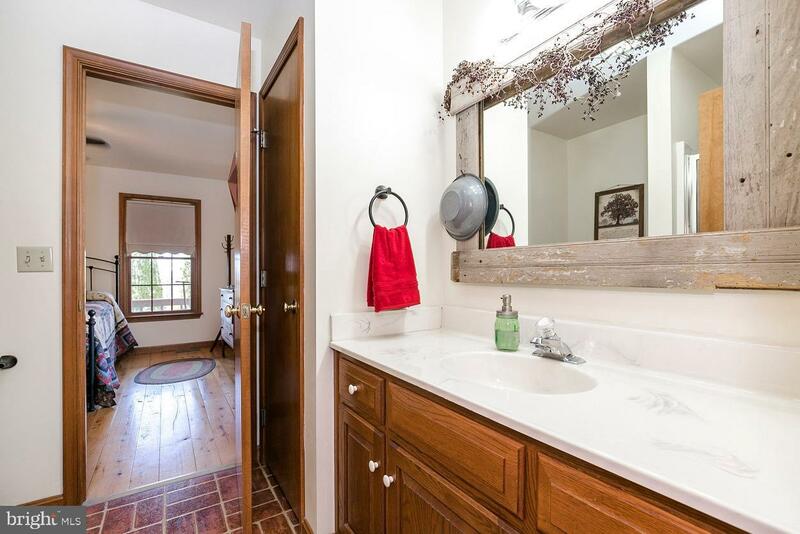 Master bath has standing shower, large pretty vanity and linen closet. 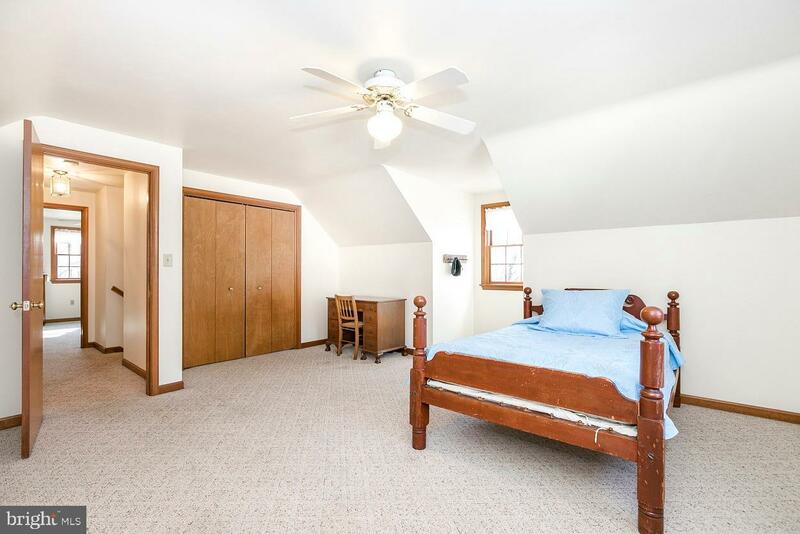 Upstairs has two very generously sized bedrooms with double closets, ceiling fans, and storage. 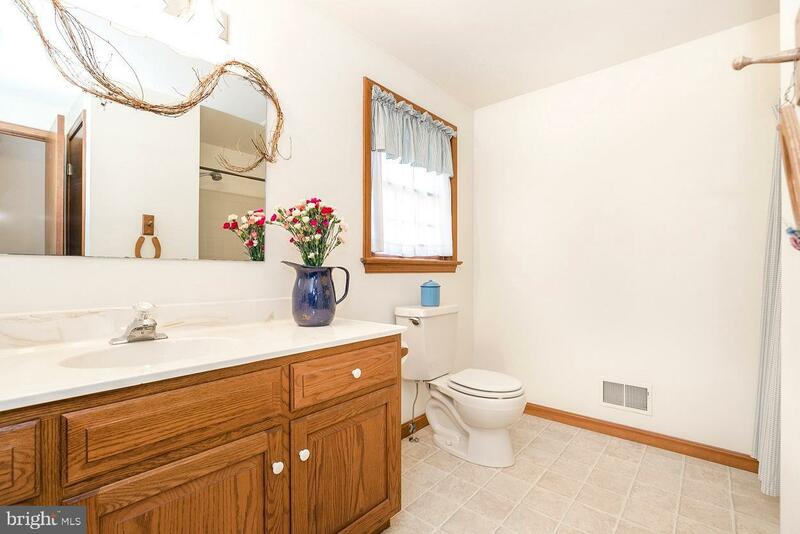 Full bath is very spacious with a tub, large vanity, and linen closet. 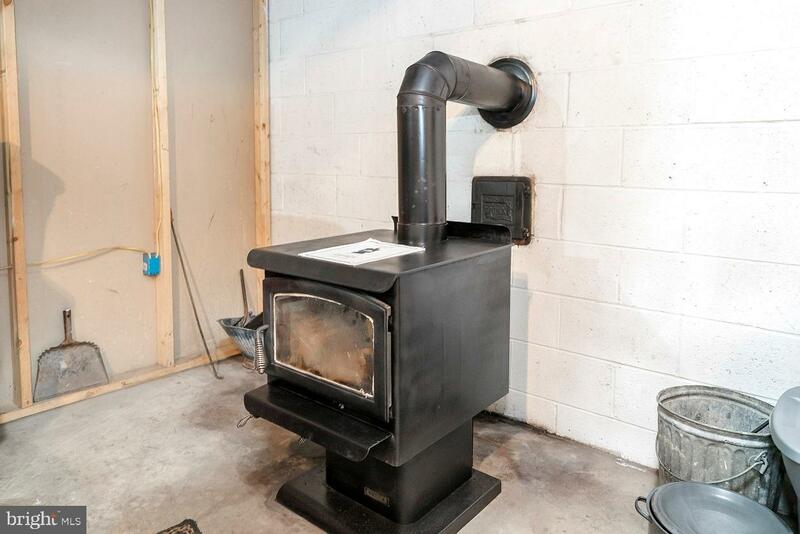 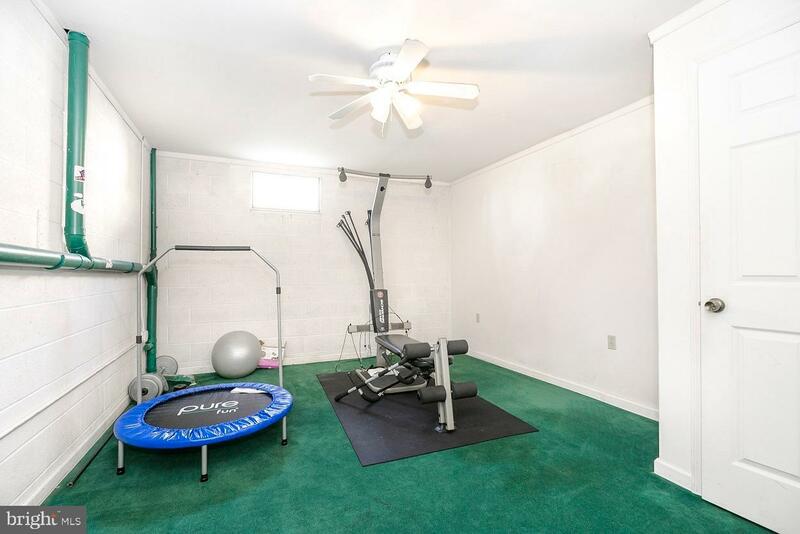 Full waterproofed basement with carpeted exercise room, wood stove and laundry with bilco doors. 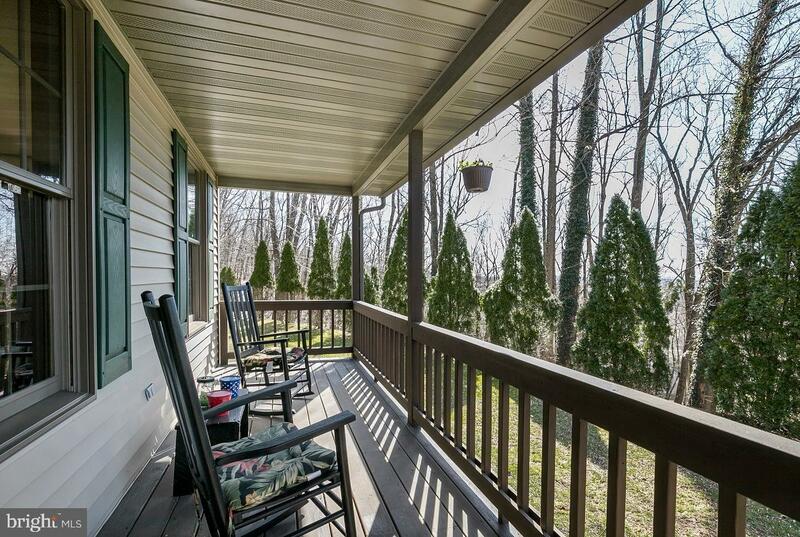 The front porch is roofed, sit, relax and look at the fantastic view. 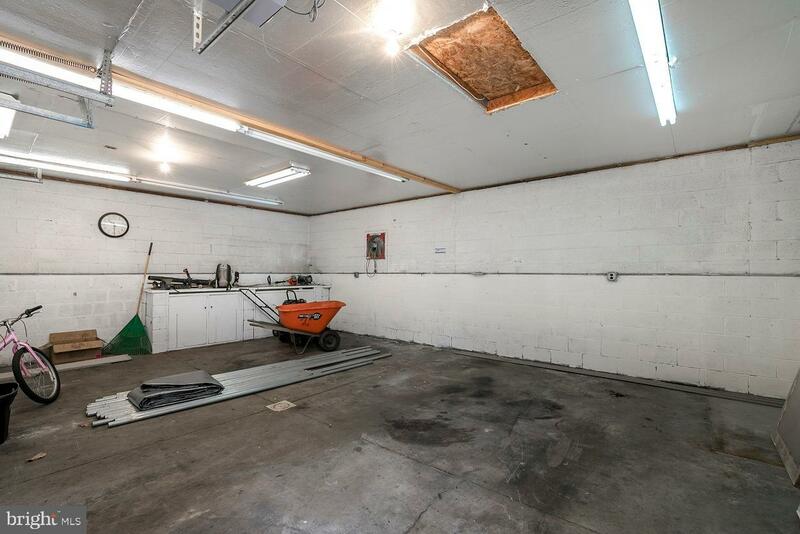 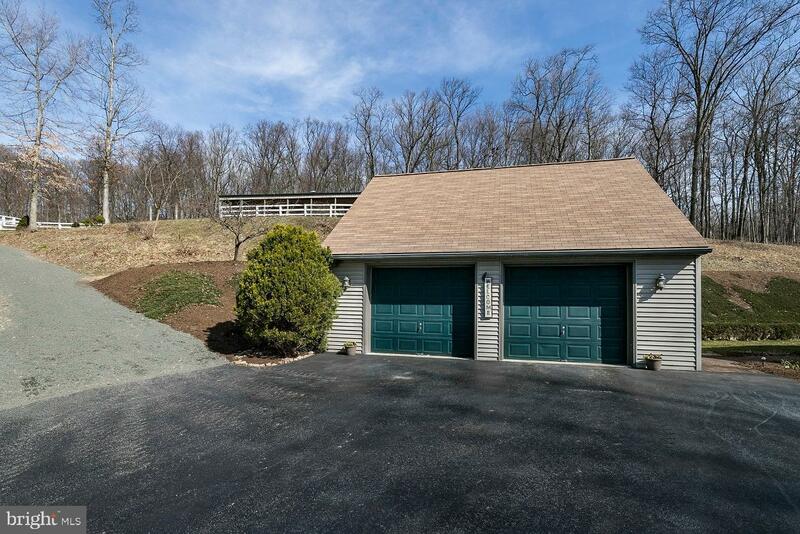 2 Car oversized garage is conveniently located close to the home with side door and storage. 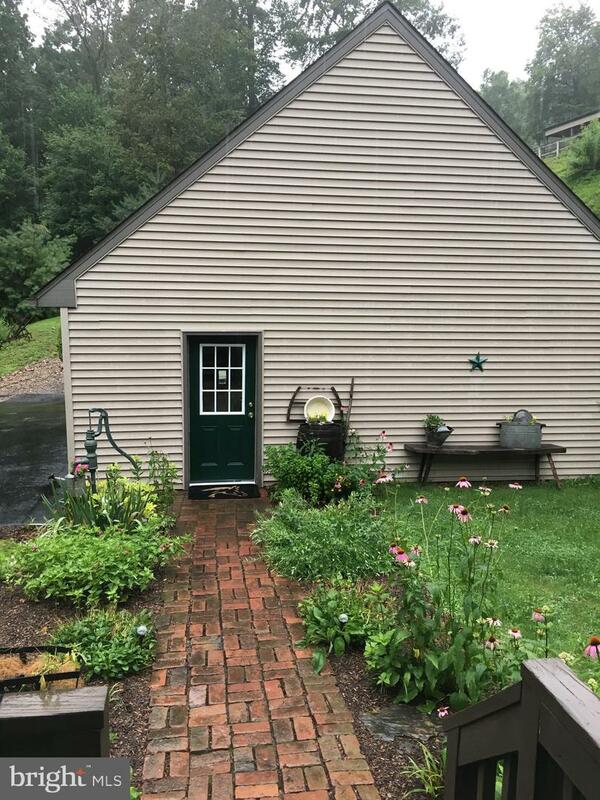 Whole house generator. 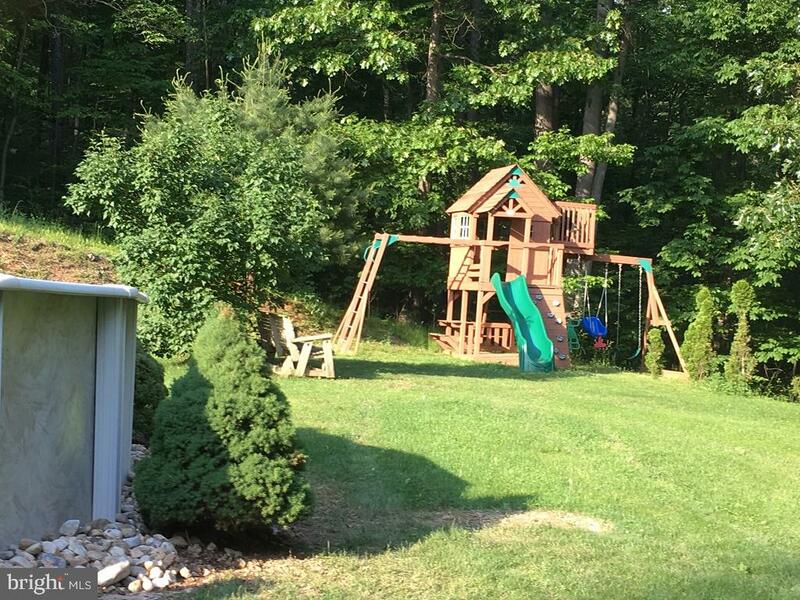 New roof in 2015. 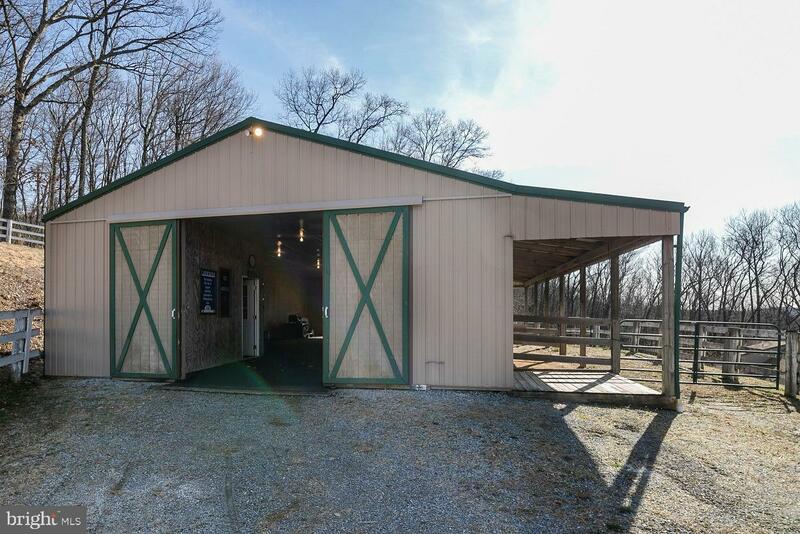 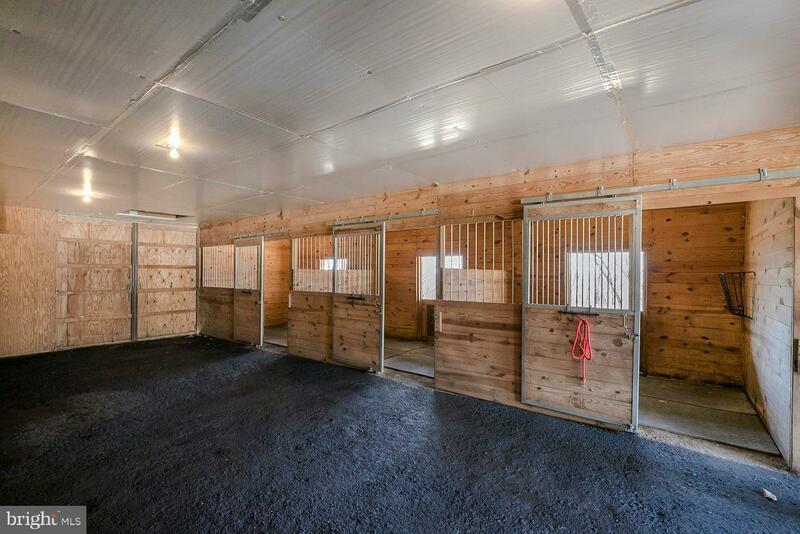 Amenities include 30 x 50 horse barn with 3 stalls, two 10 x 12 and one 10 x 14 that are solidly lined with rubber mats, sliding stall doors with bars, 6 ft solid dividing walls, hay racks, buckets, outlets, lights plus each stall has exterior dutch doors to covered paddock that could be easily be divided to seperate if desired. 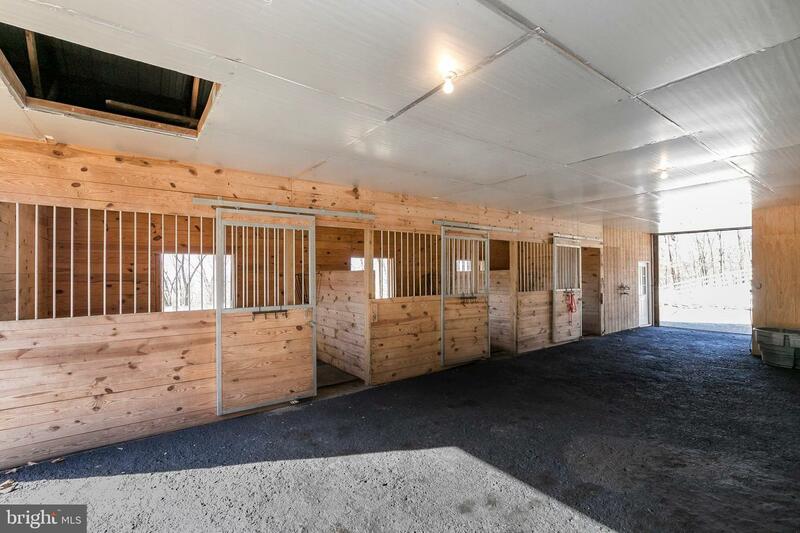 More room to add stalls if desired or use for tractors and storage. 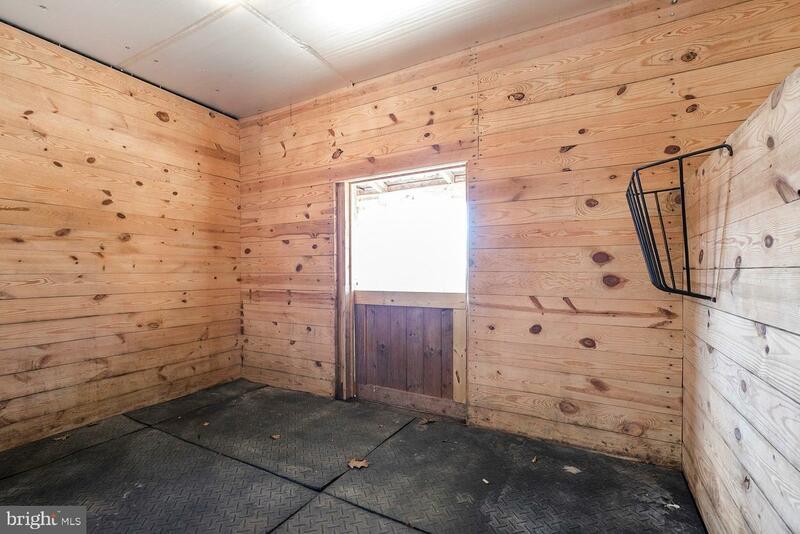 Inside and outside cross ties, large feed room, tack room with bridle and saddle racks. 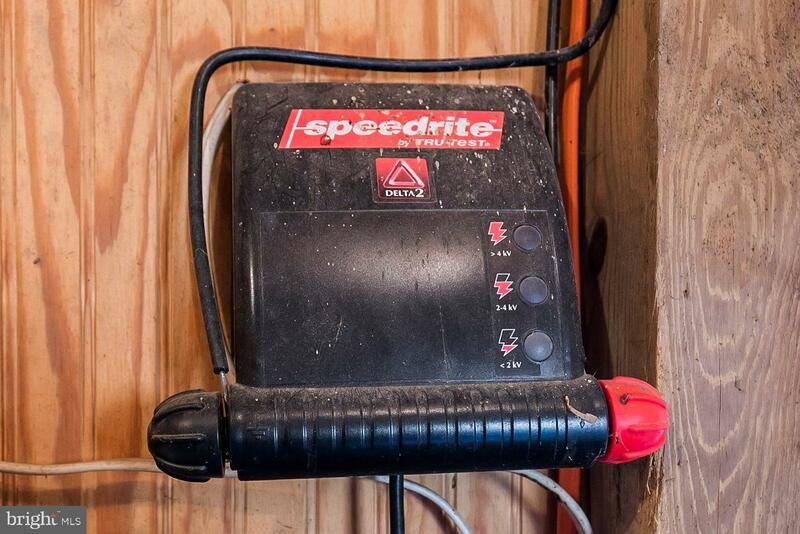 Electric fence controller. 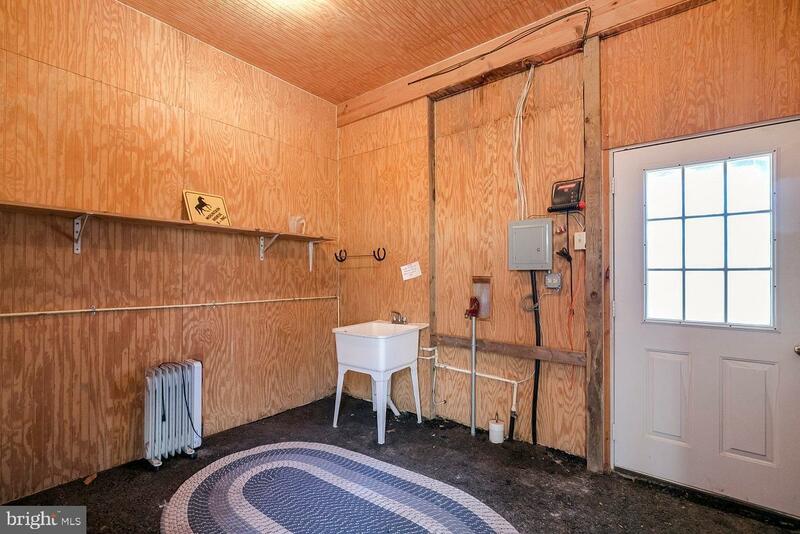 Hydrant, wash sink. 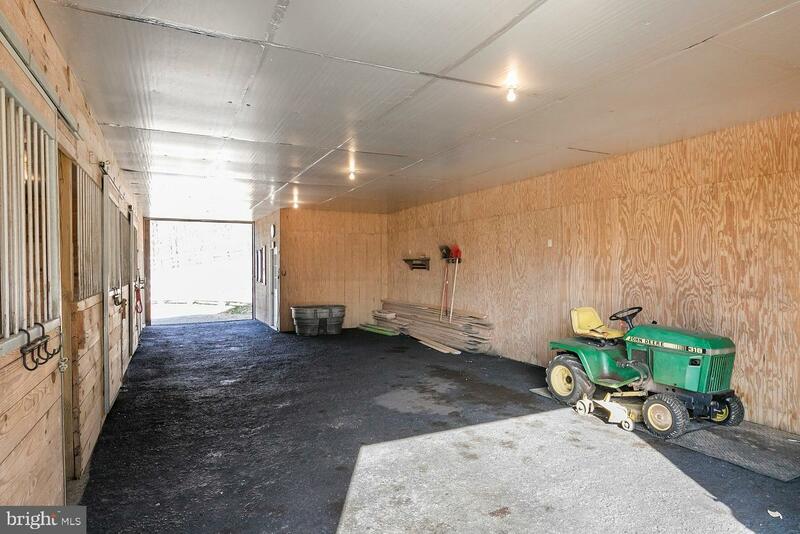 Nonslip asphalt floor. 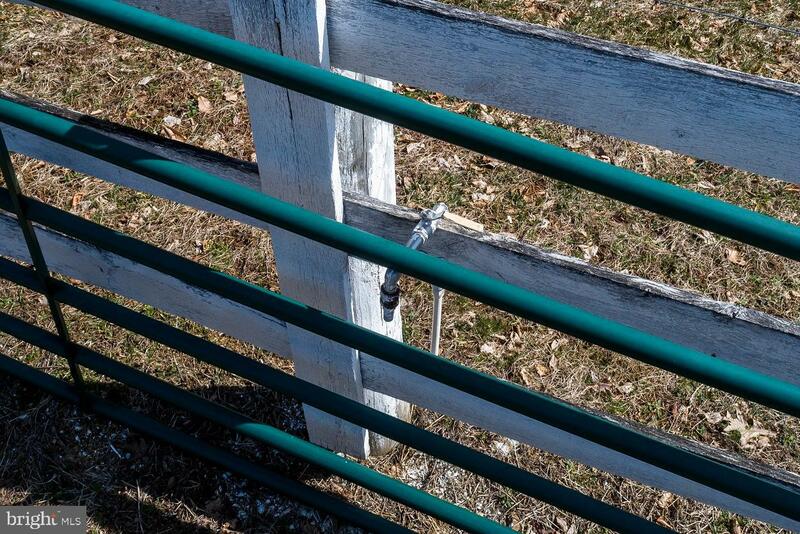 Paddock has a gate to pastures. 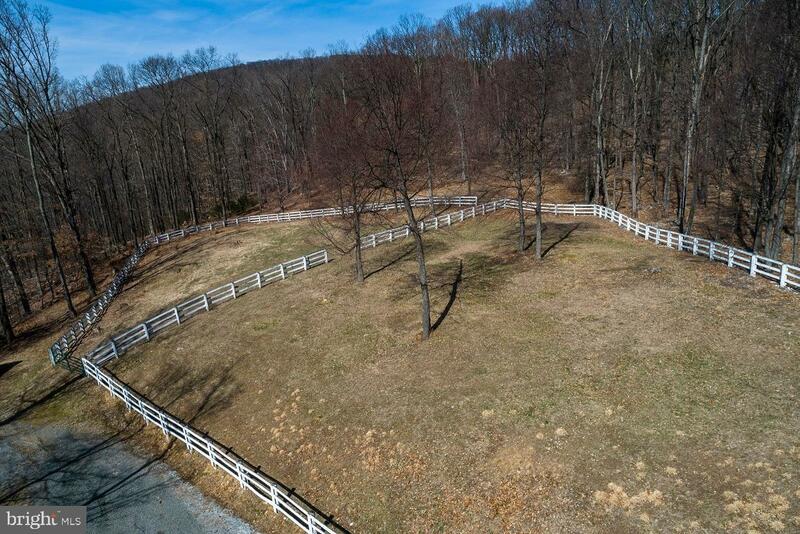 2 pastures fenced with post and board, 3rd pasture area cleared and ready for a fence. 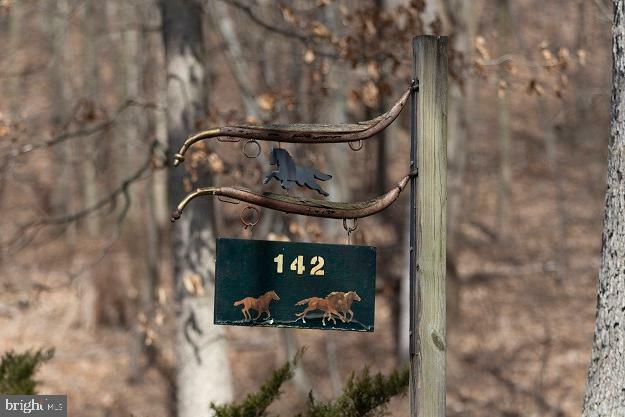 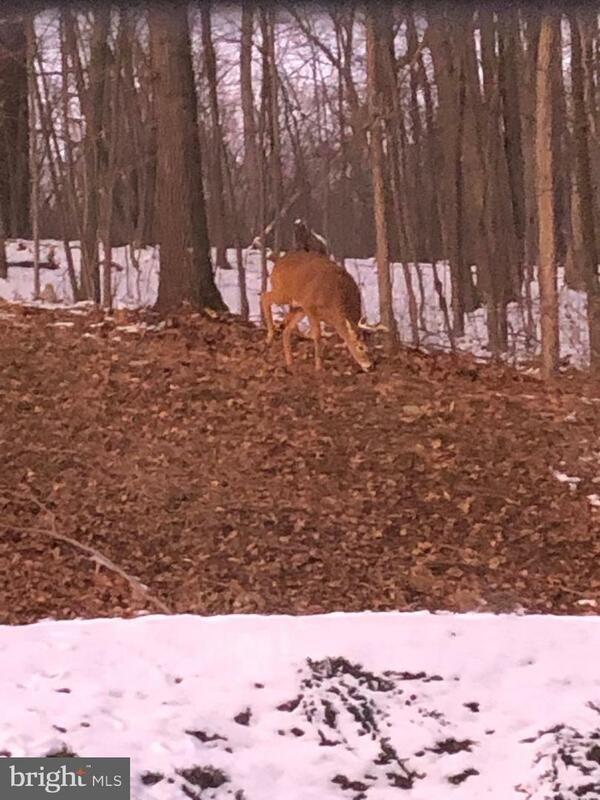 Horse or 4-wheeler trails on property. 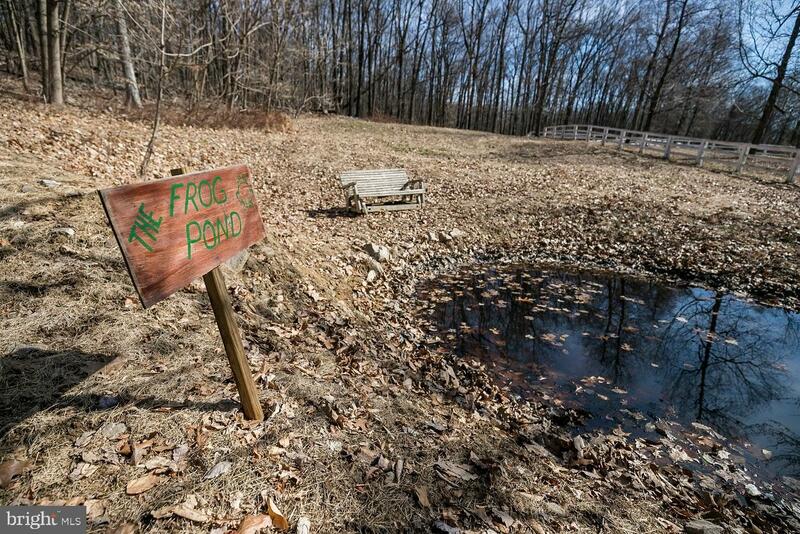 Adorable frog pond with bench to sit and enjoy the sounds of nature. 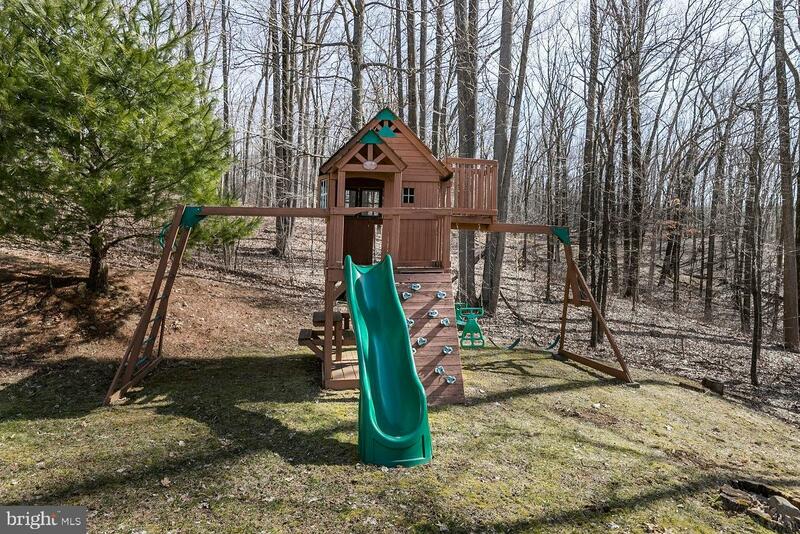 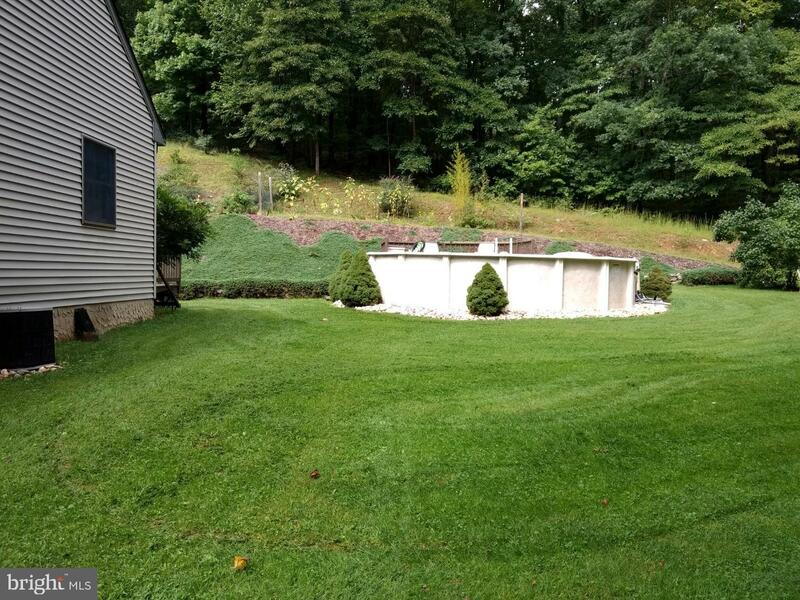 Cool off in the above ground pool, playset and yard add enjoyment to the country living and serenity you will love!